Check out Tobi's Lucky Star Multi-Way Bandana The Lucky Star Black Multi-Way Bandana adds the finishing touch to every casual 'fit. This cute bandana features an intricate star print you can wear around your neck or in an updo. Festival pro-tip: bring this cool bandana to stay chic and keep the dust out. 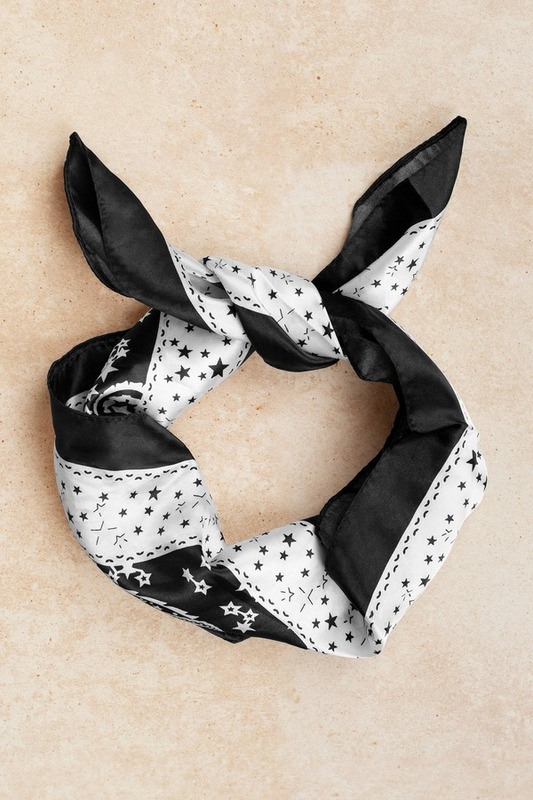 The Lucky Star Black Multi-Way Bandana adds the finishing touch to every casual 'fit. This cute bandana features an intricate star print you can wear around your neck or in an updo. Festival pro-tip: bring this cool bandana to stay chic and keep the dust out.